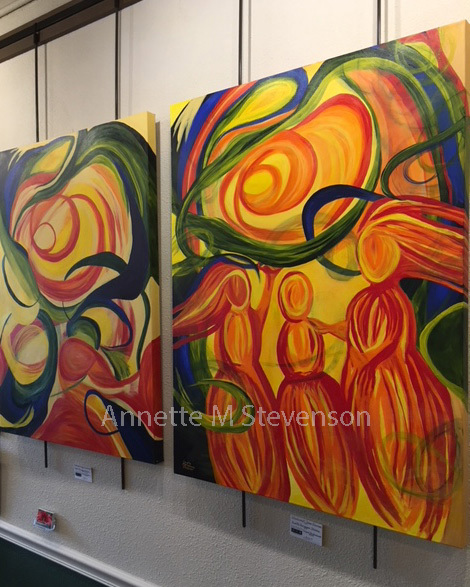 My work expresses the beauty of nature, movement of line, color and emotions through painting. 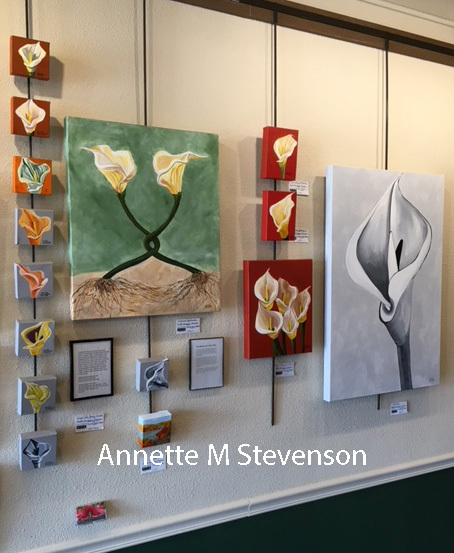 I hope you have an enjoyable experience viewing these paintings. 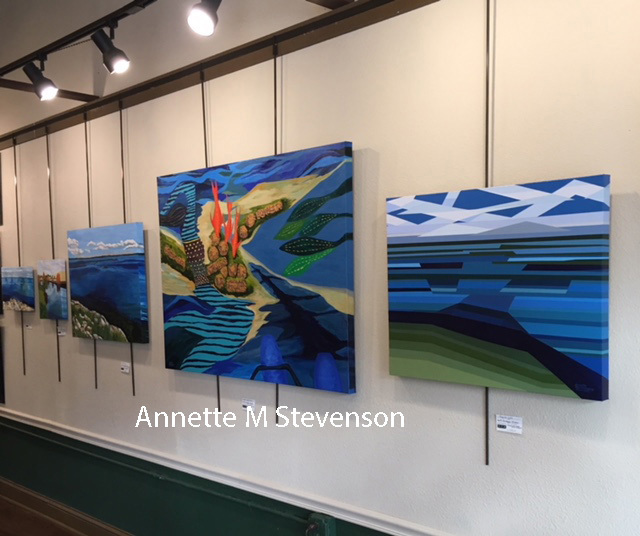 The Solitude Series of paintings displayed in a gallery setting. Acrylic on Canvas 36" H x 24" W.
The Water Scene Series of Paintings shown in a Gallery setting. Acrylic on Canvas, various sizes. 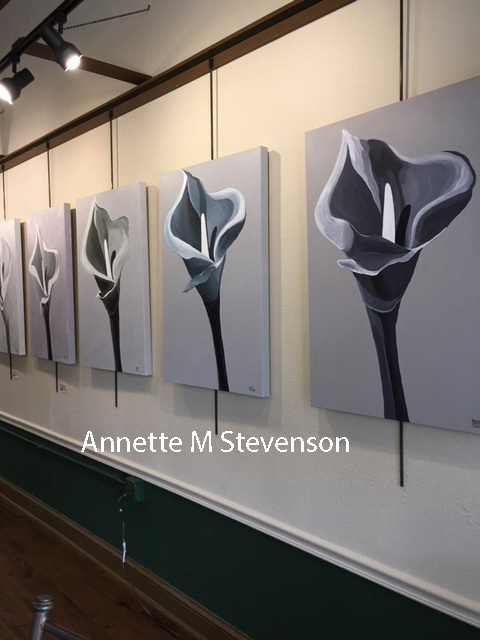 The Calla Lily Series in a Gallery setting depicts the elegant beautiful flowers in a variety of sizes.